When I was in the hospital soon after giving birth to Googie my visiting dad made a funny comment...."How does it feel to have your own real live doll?" Wow... I hadn't really thought about it that way. A person, a little girl person who I could dress up and play house with. In the hospital the nurses brought her to me with tiny bows stuck on her head. She had about 7 dark brown hairs on top of her noggin and since they had nothing to anchor the bows onto they used K-Y Jelly. She put up with that crap until she was able to notice that something was on her head and then she'd pull everything I put in out. Anyway, my plan was to make my doll the most beautiful doll anyone had ever seen. I guess she had a similar plan. When she was two, someone (Grandma Jan perhaps??) gifted her with a pink tiara. It was a gaudy thing, sturdy plastic with a flag of pink chiffon material that blew in the air when she walked. She didn't go anywhere without that tiara. She got lots of attention at the grocery store. Yes, my doll was that adorable. Even in that goofy tiara, she was simply cute as hell. I've been noticing these beautiful huge azaleas around town and a few days ago I spotted one in my neighbors back yard. I asked him if I could have it...ballsy, I know..but I had a plan. 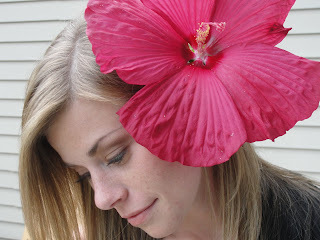 How sweet that would look in someone's hair, Hawaiian style. "Hold still you brat, give the K-Y time to dry." 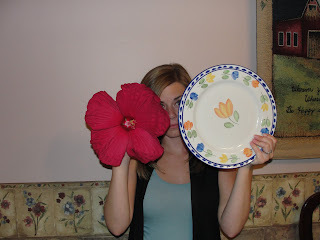 This freakin azz freak flower is as big as a freakin dinner plate. PS...To anyone who takes a minute or two to visit this blog and read it, thank you! And to those who comment.. I appreciate you x's 2. 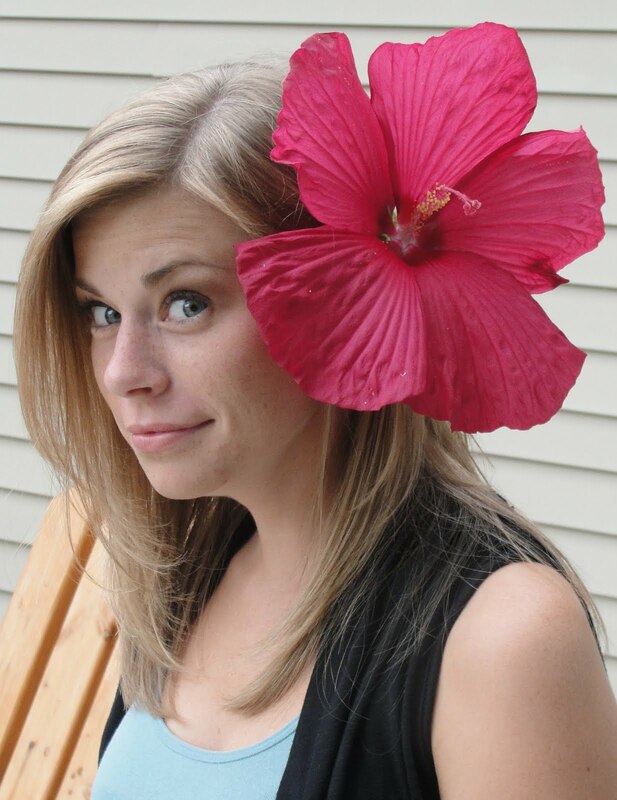 Oh, I wish I had one of those ginormous flowers to stick on my baby's head. 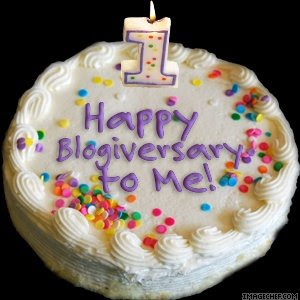 Ooh, I missed your blogiversary! I love coming here, thank you for making it such a wonderful place to visit. PS, is that flower REAL?!!! Thanks long distance pal...yes that flower is as real as it gets..isn't it outstanding and awesome and everything in-between? ?